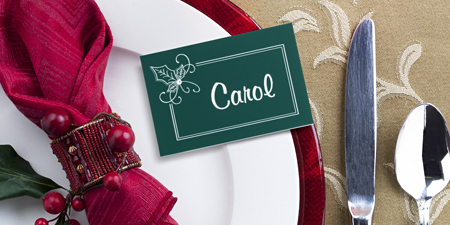 From titles to names and pictures, name tags need no introduction. The primary advantage of wearing a name tag is that it is an automatic introduction. No matter where they are worn, name tags instantly provide your credentials to those around you. They put you on a first name basis with everyone. And, this advantage is perfectly demonstrated when it comes to business ethics. 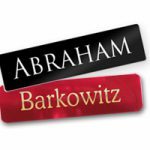 Name tags help your customers remember who you are. From a sales position to a waitress at the local diner, wearing a name tag gives that immediate recognition to anyone. 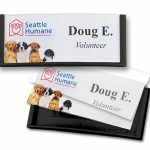 Here are other ways that name tags are your first introduction. 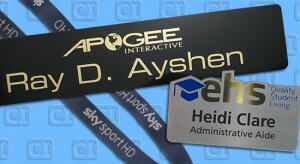 By incorporating a name tag, from a simple Speedy Badge to a custom engraved logo, any uniform will stand out. And, each name tag will help with company branding. Sometimes just a specific color uniform shirt and pants don’t quite accomplish the job. Top off your company uniform with a name tag branded with your logo and company colors. Then, each name tag will do the talking rather than keep customers guessing who works at your business. Using name tags, employees quickly identify those who work for the company. And this leads to our next point: security. There it is again. We’re always mentioning security. 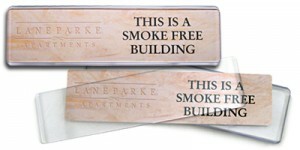 Name tags are a simple way to control who comes in and out of your business. Make them mandatory. Both employees and visitors should wear them. By giving employees name tags, you are providing security for your office or store. And, who doesn’t want a secure business? With a simple branding logo, employees are easily identified by customers and other employees. No one will ever have to guess at who their co-workers are again. Providing name tags for all employees and visitors proves over and over that accountability is a necessity. Identifying those around your company will help with determining where problems are. They also help with making people take better responsibility for their surroundings. Finally, remember that name tags are the best way to identify and give a first introduction to your company. From branding to security, name tags sure are helpful. First things first, what is BRANDING? Definition: BRAND – a particular product or a characteristic that serves to identify a specific product, a trade name or trademark, or a particular kind or variety. Let’s break it down a bit farther to make it a little easier. The act of branding is the process involved in creating a unique name or image for a product, person or idea. This is done mostly through advertising and other similar means. It is also the action of building a convincing individual or unique presence in a consumer market that attracts and retains loyal customers. Now that we’ve established what branding is let’s discuss the different aspects of what it is. Personal branding is the process of an individual marketing, or advertising, themselves or their career as a unique image, or brand. It is in effect the ongoing practice of building up an image or uniqueness about themselves to others around them. A personal brand often involves the use of someone’s name on various marketing products. In the name tag world, a personal brand comes when you wear a name tag with your name (first and last) to identify yourself as an individual and to stand out in a crowd. 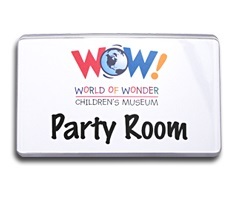 By wearing personal identification products, e.g., name tag, name badge, etc., one makes themselves more visible to others and opens the door to better experiences at large events. Most often one can see this type of brand at large corporate meetings or conventions where the individual needs to be distinguished from others. Corporate branding is the process of promoting the logo and brand name of a company or corporation for marketing and advertising purposes. Typically the range of a corporate brand is extensive and is often used as a way to express the company’s ideals and goals. Corporate branding utilizes the same items as personal branding, such as lanyards and name tags, but they are used differently. Many companies choose to add their logo, or brand, to the name tags so that their employees are easily identifiable to the consumer. These items are then turned into a way of advertising their company rather than the individual. Many times this type of branding is seen at conferences where many companies that manufacture or sell the same ideas or items might mingle. Lanyards, name tags and often signs are used to distinguish each business attending the conference. Whether personal or corporate, a brand is essential to anyone who is seeking to be differentiated from those around them. 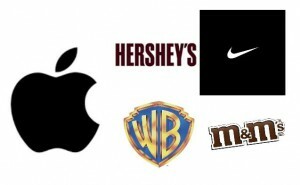 Corporations typically have a logo designed while individuals must promote their names as a logo.